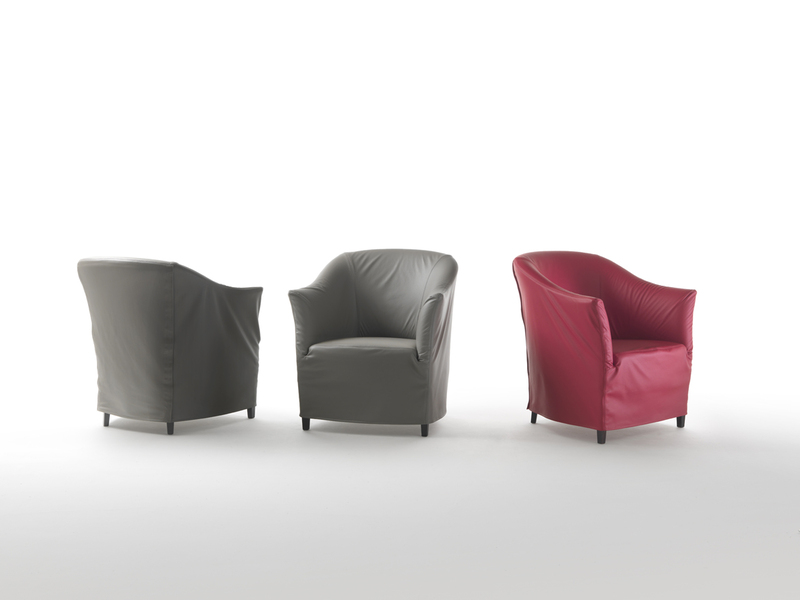 An armchair or a small sofa, DORALICE has a slightly retro, understated look. 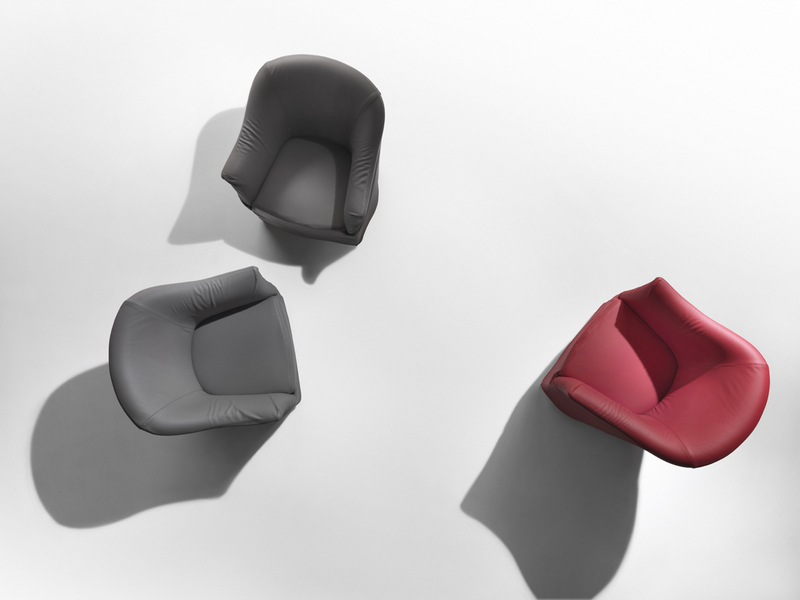 A single cover in removable fabric or leather sheaths the upholstered wooden structure, even concealing the wooden feet. 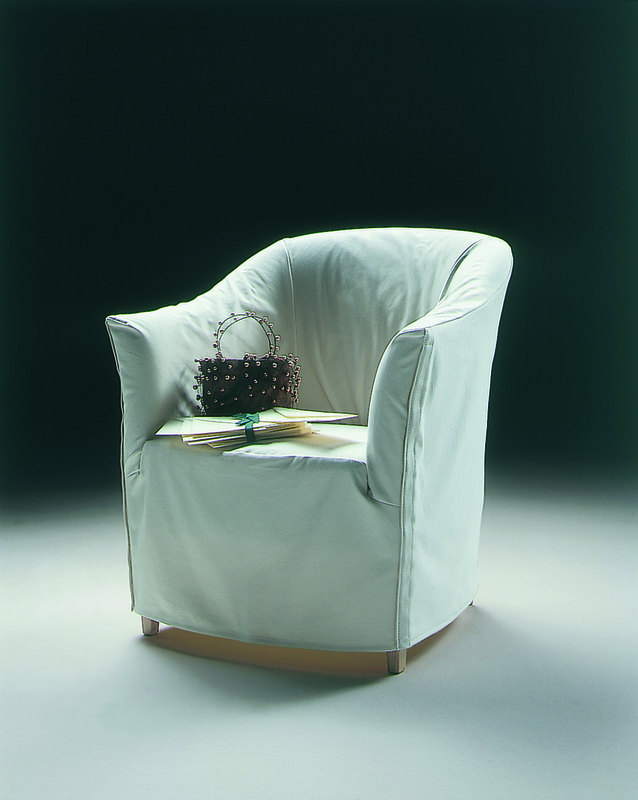 Graceful in the armchair version, it simplifies the classic bergère, essentially slimming the armrests and back. In the small sofa version it adapts to limited spaces in the home, or furnishes lounges and public spaces with nonchalance.